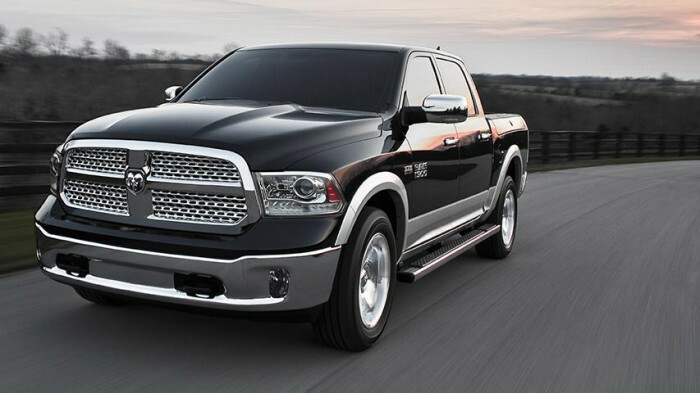 The 2013 Ram 1500 sees a number of worthwhile cosmetic and performance updates, including a stronger V6, a stronger frame, an eight-speed transmission, larger grille, restyled headlights, and LED turn signals and taillights. 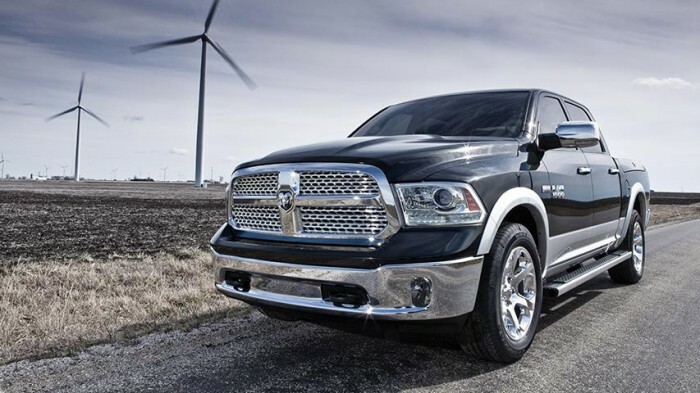 The Ram 1500 is a workhorse, rough, rugged, and ready to take on just about any job. Practical enough for everyday driving, but tough enough for loading, transporting, and hauling whatever you need. The 1500 is loaded with exterior conveniences, such as power-folding mirrors, power stainless-steel running boards, a power rear-sliding window with defrost, and a central locking system that secures the entire truck, including the tailgate and RamBox cargo system with a single button. 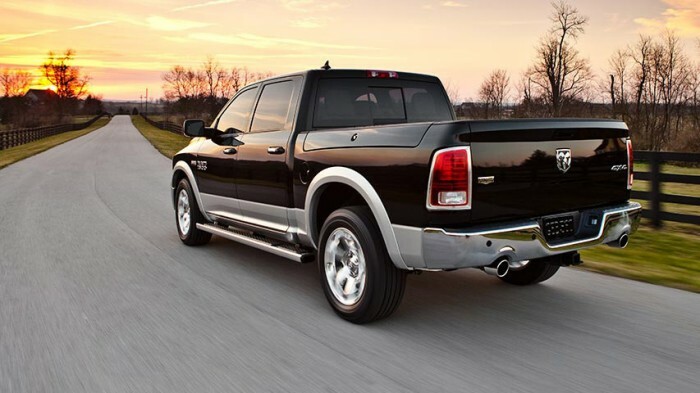 For 2013, the Ram 1500 Crew Cab also offers an optional full-size, 6-foot-4 cargo bed, adding even more options to the 1500’s already diverse line-up. The new 3.6-liter V6 engine that comes on the base SLT is dramatically stronger and more efficient than its predecessor, creating 305 hp and 269 lb-ft of torque. The updated V6 is matched to an eight-speed automatic transmission. If that’s not enough to get the job done, Ram offers plenty of trims, options, and upgrades so you can create a Ram 1500 to meet your lifestyle. The Ram 1500 with a V6 gets an EPA-estimated fuel economy of 17 mpg city, 25 mpg highway, and 20 mpg combined with a 2WD Quad Cab. The Ram 1500 boasts one of the best cabins in the pickup truck segment, featuring space; storage; high-quality, soft-touch materials; and all the latest technology. Whether you settle on the work-rated Tradesman to the luxury Laramie Limited, you’ll get the best bang for your buck. 2013 brings two new touchscreen interfaces, one 5 inches and one 8.4 inches. Both are intuitive with large virtual buttons. Other convenience options include keyless entry and ignition, adjustable pedals, Bluetooth, voice recognition, smartphone app connectivity, and a WiFi hotspot link. Four-wheel antilock disc brakes, hill-start assist, trailer-sway control, stability control, front-seat side airbags and full-length side curtain airbags come standard on the Ram 1500, while integrated trailer brake control is optional.